Join the women of the Pittsburgh Steelers as we embark in a friendly competition against the women of the Baltimore Ravens. 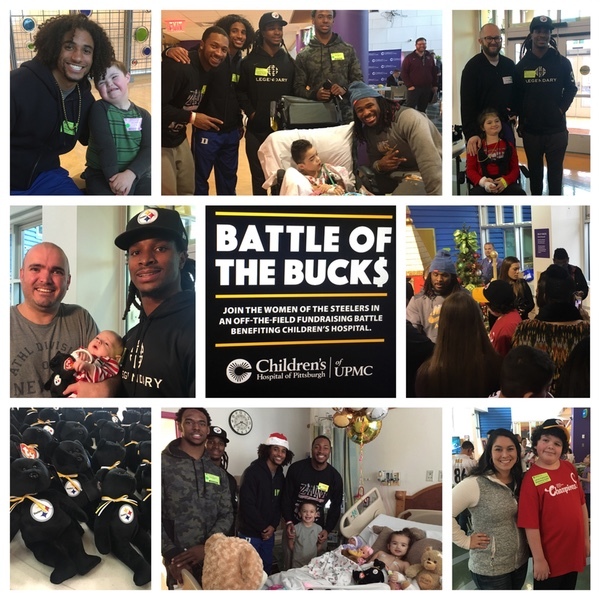 Since we play each other on Christmas day, what better way to engage this rivalry than to give back to each of our communities in our own "Off the Field Battle of the Bucks". We will be raising money for a selected charity in each community. This fundraiser is a fun way for the significant others of the Steelers and the Ravens to compete against one another while giving back to their local communities, so BOTH teams and cities are the winners! We will be collecting donations until our match-up on Christmas day! 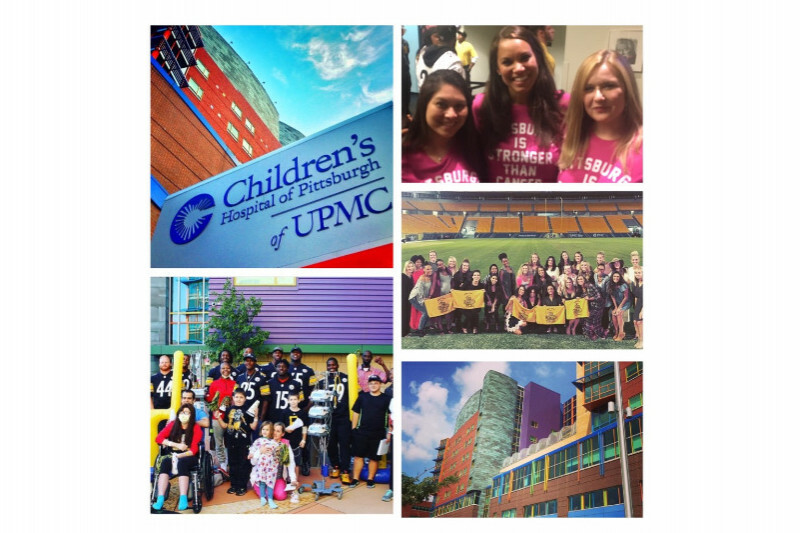 The Steelers are having an amazing season on the field and they would like to help out the Pittsburgh community win off the field by raising money for Children's Hospital of Pittsburgh this holiday season! From Ambulatory Care to Transplantation and Cardiac Care, talented and committed pediatric experts care for infants, children and adolescents who make more than 1,000,000 visits to Children’s, its many neighborhood locations, and Children's Community Pediatrics practices each year. With programs such as the Free Care Fund at Children’s Hospital of Pittsburgh of UPMC which provides care to every child in our community, regardless of their family’s ability to pay, there is always a need for donations. Remember there is no amount to small. Any amount, no matter how small or large, is greatly appreciated! Happy Holidays! Today, several of the women of the Steelers along with some of the Steelers' players visited Children's Hospital to hand out teddy bears. They also made time to take pictures with patients and their families and sign autographs! So proud of them! The women behind the men of the Steelers are really excited to be competing against the Ravens' women for such an awesome cause! Thank you for joining us in our fundraising efforts for Children's Hospital. Go Steeler ladies! Antonio Brown took us over the top! #HereWeGo! what a weak goal! C'mon ladies! Too tired? Merry Christmas and Happy Holidays! Go Steelers!